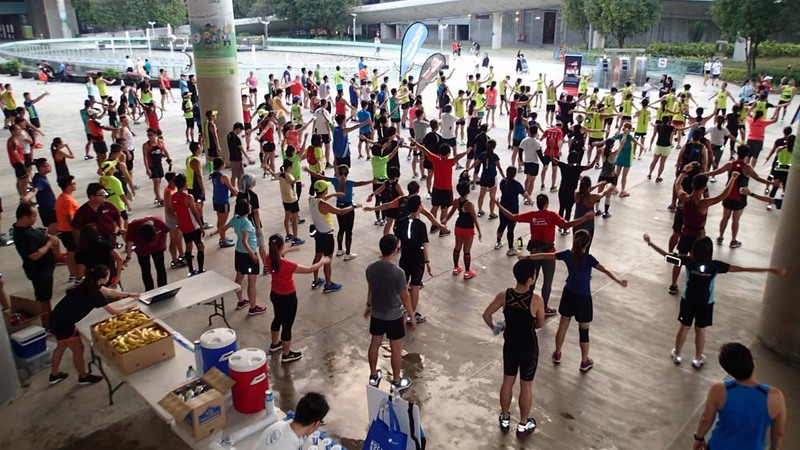 The second Sundown Marathon 2018 Lead Up Run saw a capacity crowd of runners turned up at the Marina Barrage for their first night long run training. 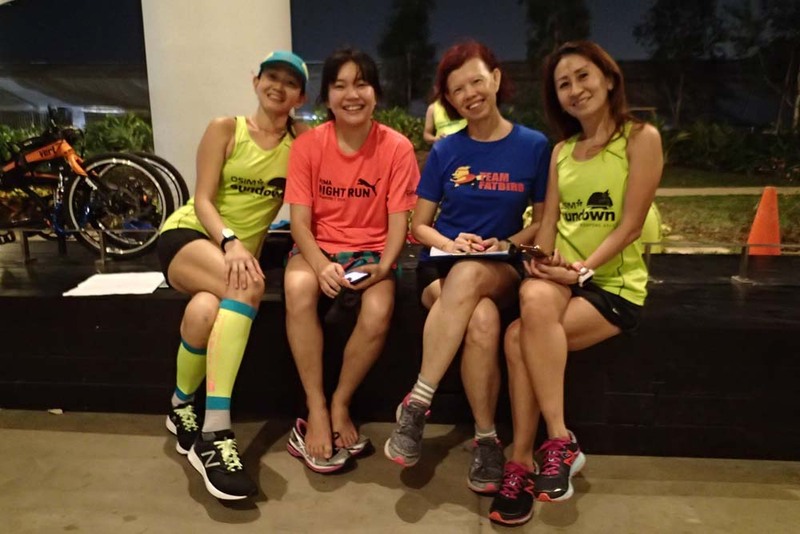 Led by the ever reliable Sundown Marathon Pacers from Team FatBird, there were the returning participants from the first Lead Up Run as well as new participants looking to do a good long run workout as part of their buildup for Sundown Marathon race on May 19. 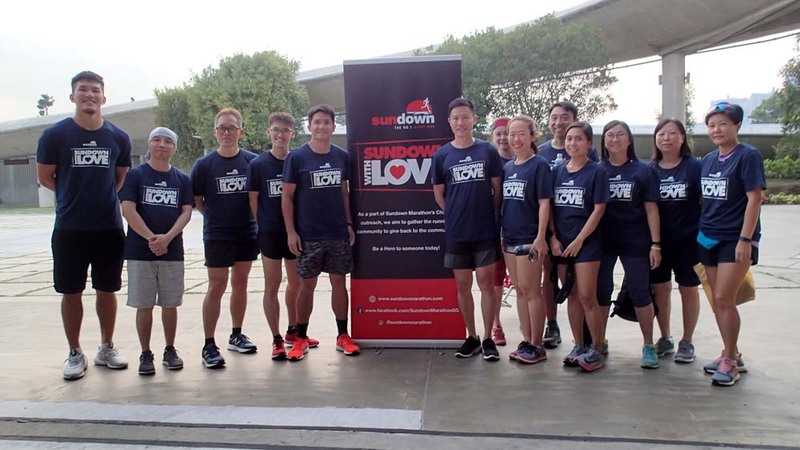 Also joining in the run were the Sundown With Love Ambassadors and charity beneficiaries who were there to support the run for a great cause. 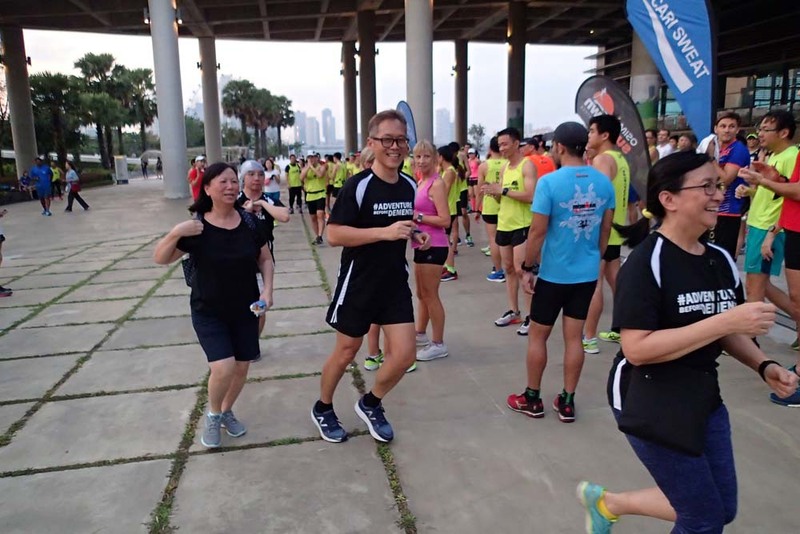 Adrian Mok, MD of Hivelocity on on site to give a opening address to welcome the Sundown With Love supporters, the Sundown Pacers as well as the Lead Up Run participants. 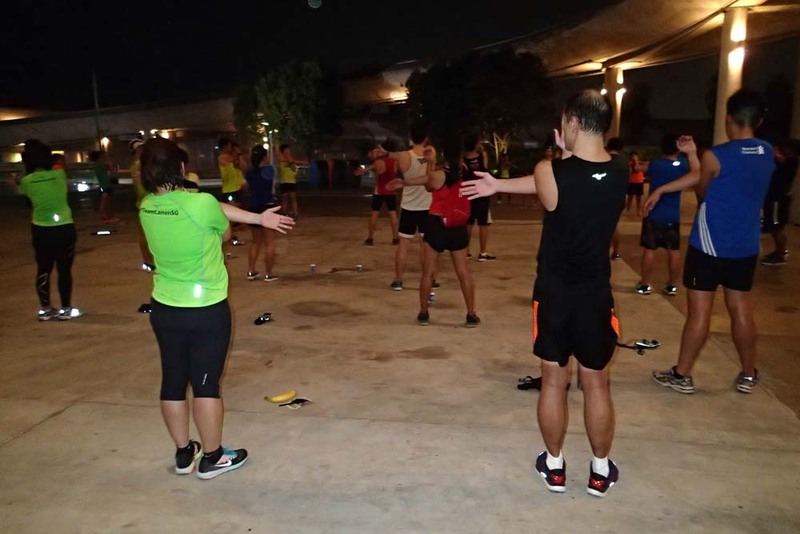 After a nice group photo session, the participants were led on a warm up routine of body looseners and activation drills by the Sundown Pace Leaders. The Sundown With Love beneficiaries were flagged off for their run, followed by the main core of participants in the respective Half Marathon (2:00h, 2:15h, 2:30h, 2:45h) and Full Marathon (4:00h, 4:30h, 4:30h, 5:00h, 5:30h) pace categories. 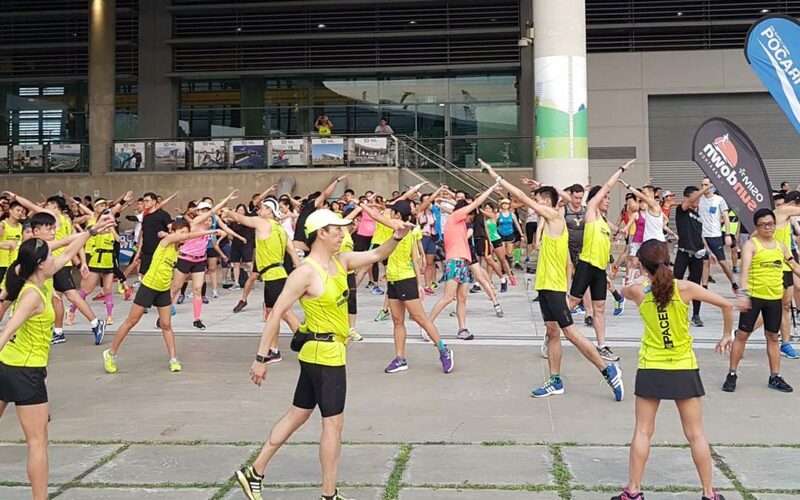 The dark clouds in the horizon gave way to clear skies and cool weather as the respective groups of Lead Up Run participants headed along Gardens By The Bay and onto East Coast Parkway for their 14km (HM) and 27km (FM) long run. The first 3km-5km was a buildup from BaseBuild Pace and transitioning into target Marathon Pace (MP). 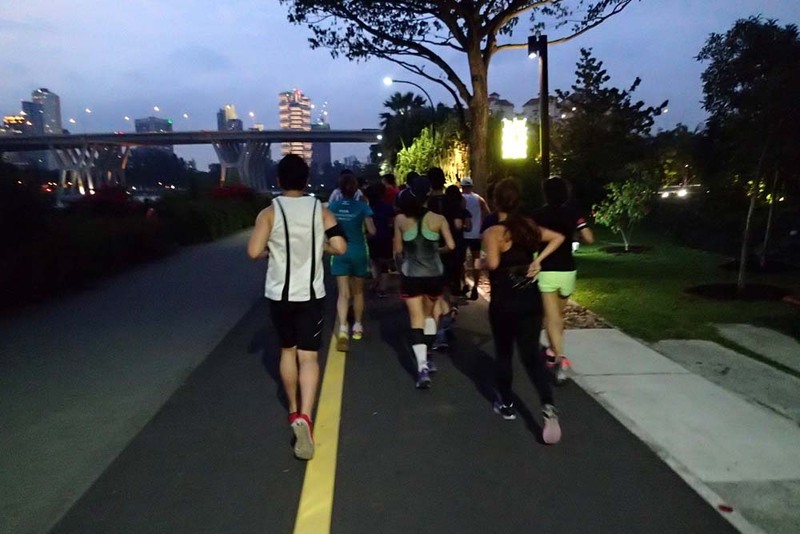 The beautiful sunset along GBTB set the stage for a night of cool and enjoyable running as the respective pace groups moved smoothly though the connector and onto ECP via the Green Metal Bridge. 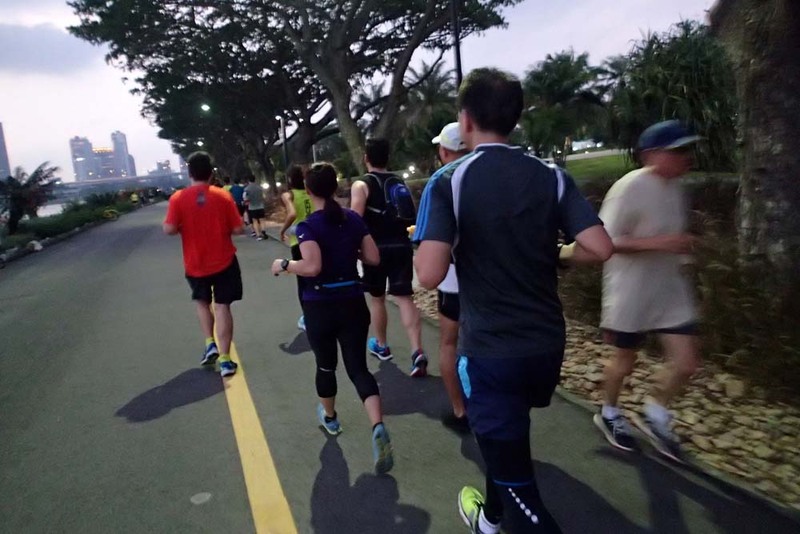 There were already families and friends setting up tents and BBQ pits for their weekend festivities as our Sundown Runners ran along the Park Connector with dogged focus on their targeted paces. 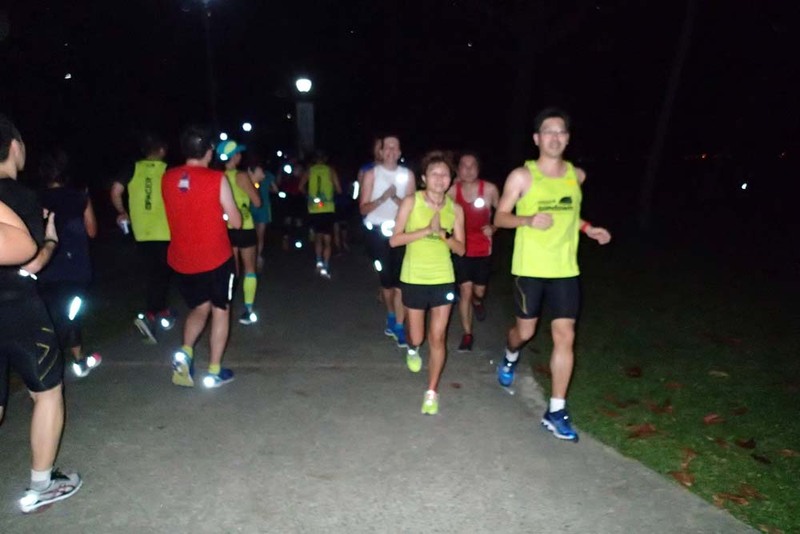 The 2 hydration points comprising of iced cold Pocari Sweat were the Check Points that the runners looked forward to as they traversed the miles looking quite effortless. 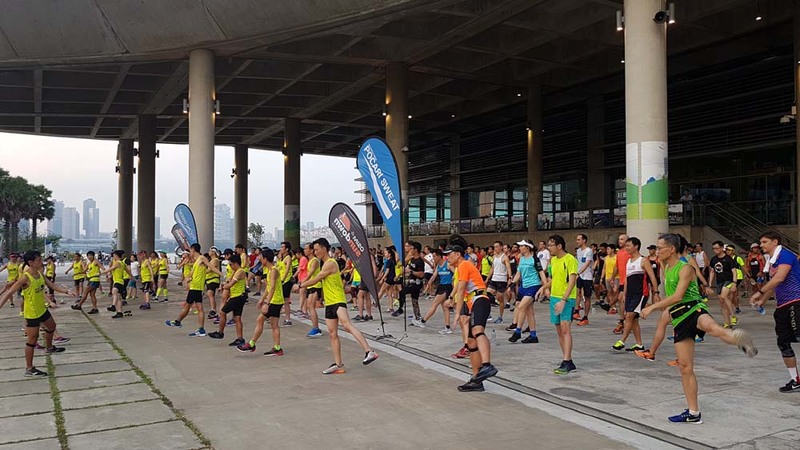 The Half Marathoners turned back at Marine Cove (7km U-Turn) in good pace, while the Full Marathoners proceeded on to their U-Turn point at the Sailing Centre (13.5km). As the runners transitioned from BaseBuild to Marathon Pace, the strides were quickened as the runners settled into their respective zones. The HMers remained consistently steady on their return leg to finish strongly to meet their training targets. The FMers also ran strongly within target paces. 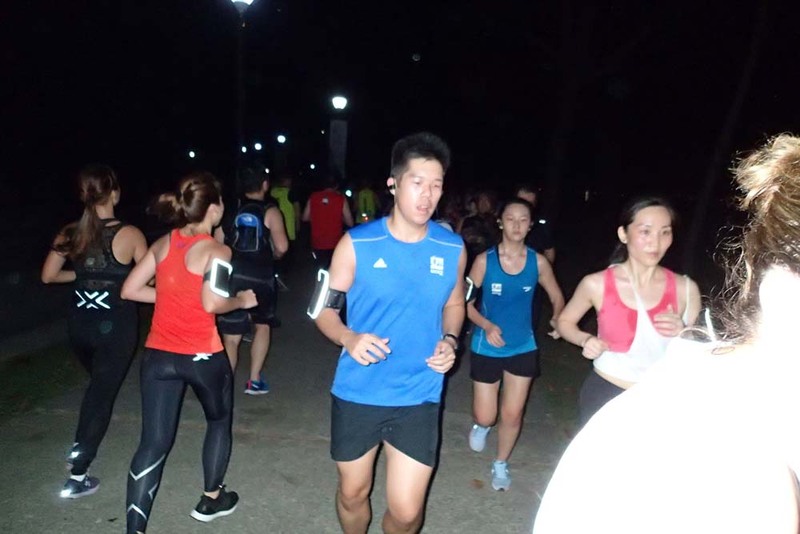 There were a small percentage in each FM groups that slowed down slightly after 20km, but still maintained a slower but steady effort to complete their 27km within regulation time. The Pacer leaders conducted a group static stretching for all participants to aid with their adaptation to training and avoidance of DOMS (Delayed Onset of Muscle Soreness). 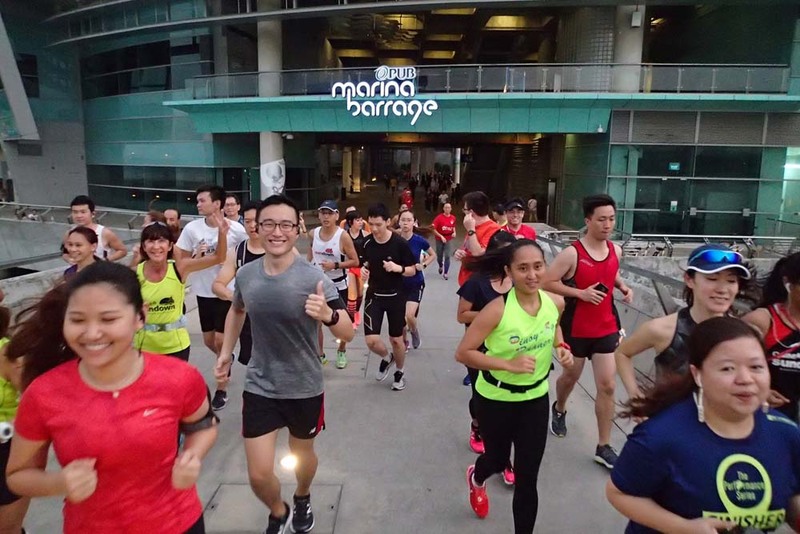 The Sundown participants were happy that they completed their targeted long run mileage in target MP. Overall, it was a fruitful and satisfying Lead Up Run execution for all who came and participated. Special thanks to the Sundown Organizers for providing the logistics support and Pocari Sweat for supplying the much needed isotonic hydration that helped all Sundown Pacers and Runners complete their night run mission. 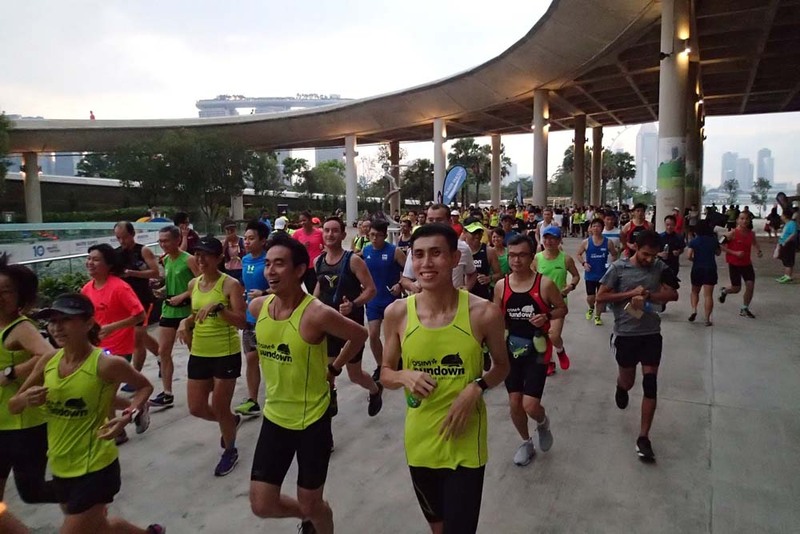 All the participants and Sundown Pacers will now look forward to the third and final Lead Up Run on 21 April @ Sports Hub. 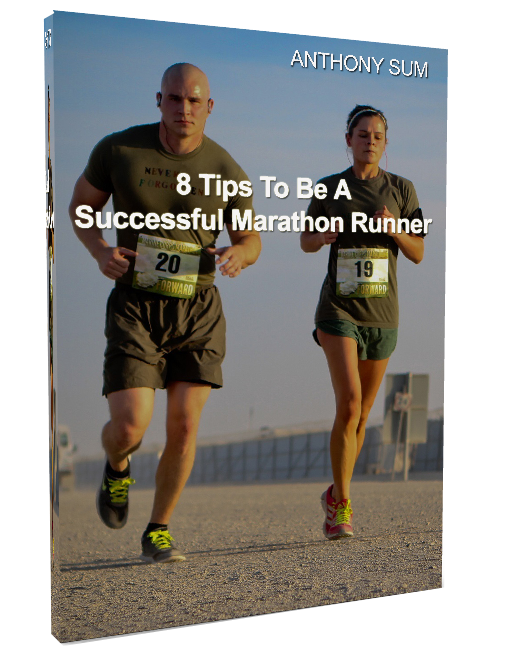 It will be the longest run of 19km and 30km to aid Sundown Marathoners’ final preparations race night. 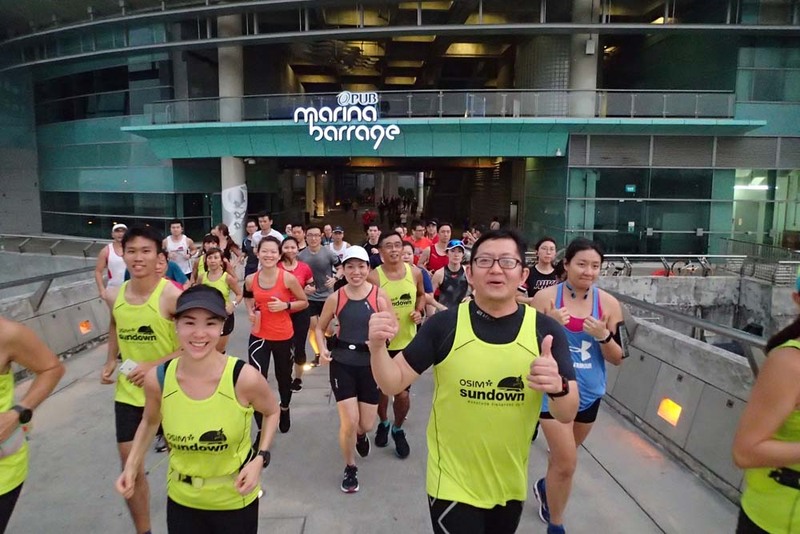 Those who have registered for the Sundown Marathon and are keen to leverage on the lead up run training sessions can get more information and registration HERE!